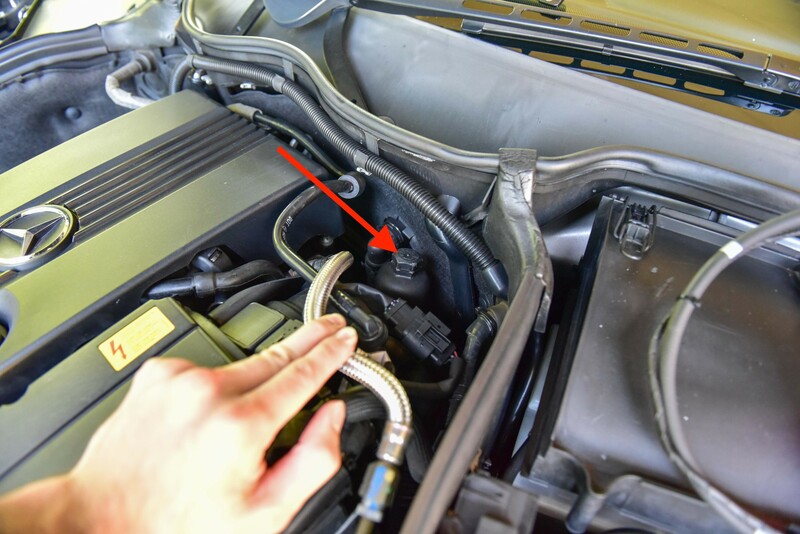 How to change the oil on a W203 C200 Mercedes-Benz C-Class. 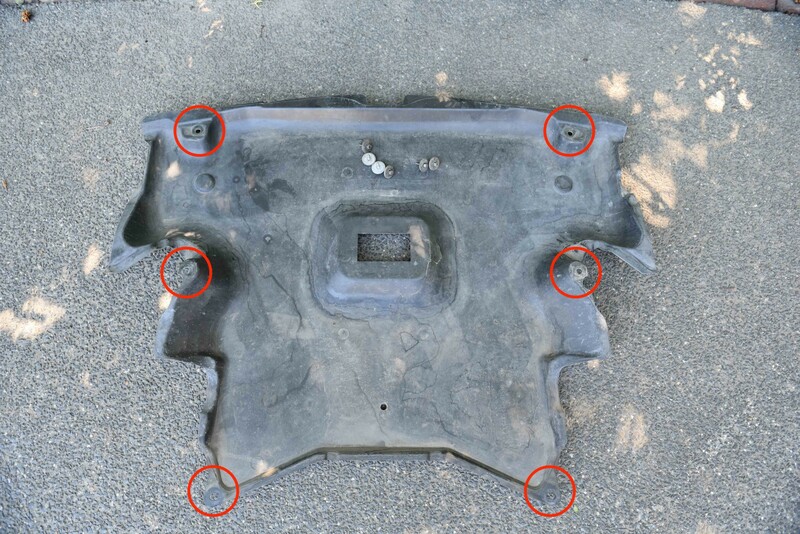 Remove the splash shield located under the engine. 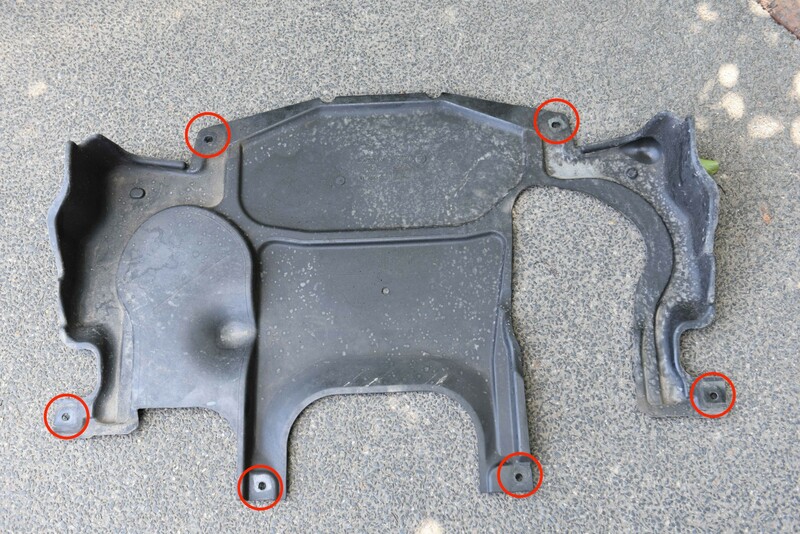 This is secured with six bolts as circled. Raise the vehicle and place it onto axle stands. The jacking point is located towards the front of the engine. 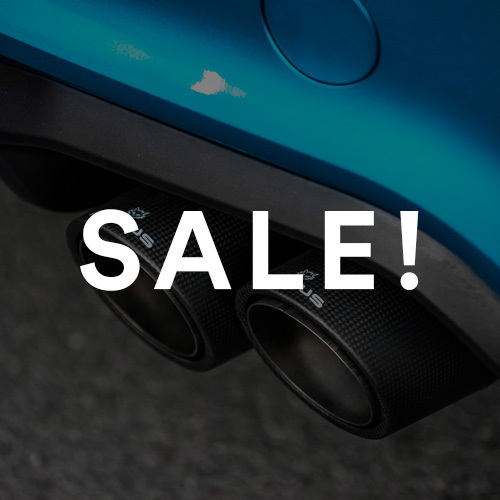 You will also need to remove the rearwards splash shield which covers the second half of the engine, as well as the transmission. 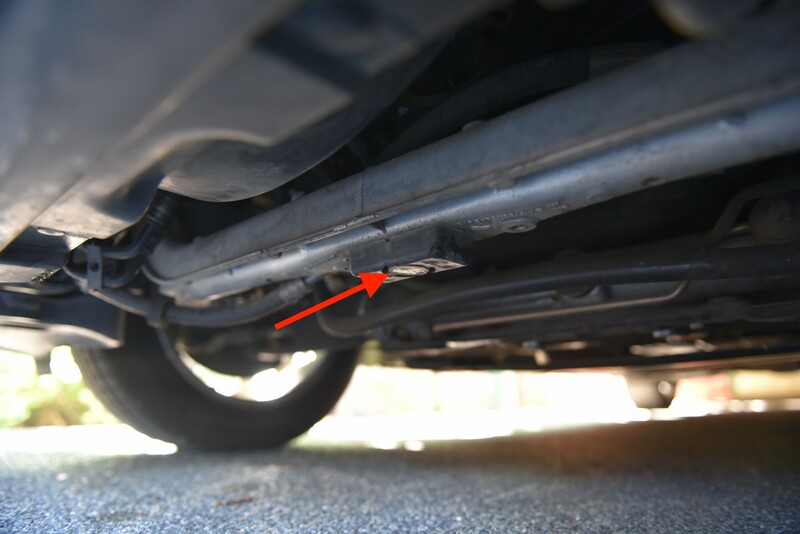 Bolts are located as per the picture. Now we need to drain the oil. 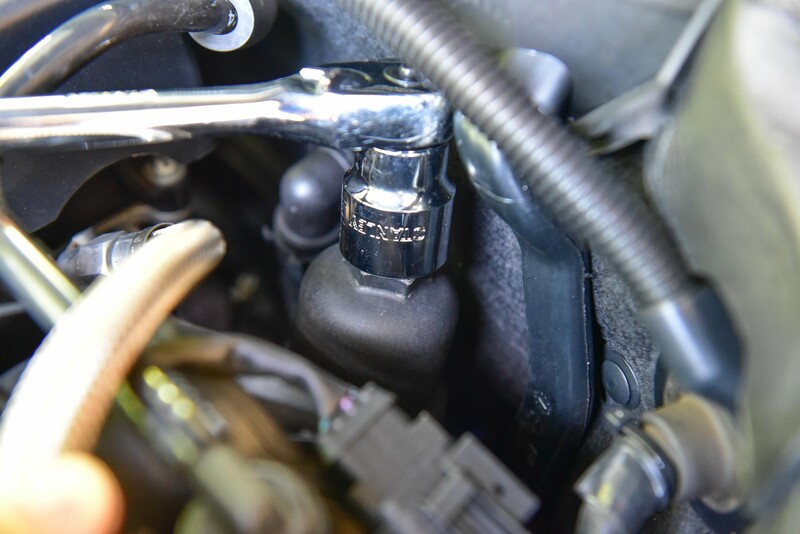 Using a socket set or breaker bar, gently loosen the sump bolt. 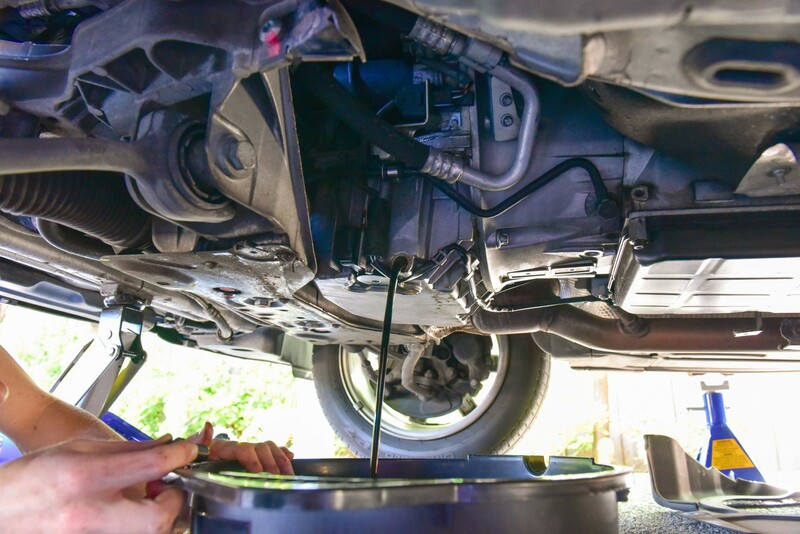 Prepare your oil pan and loosen off the sump bolt by hand. The oil will now drain into the pan. 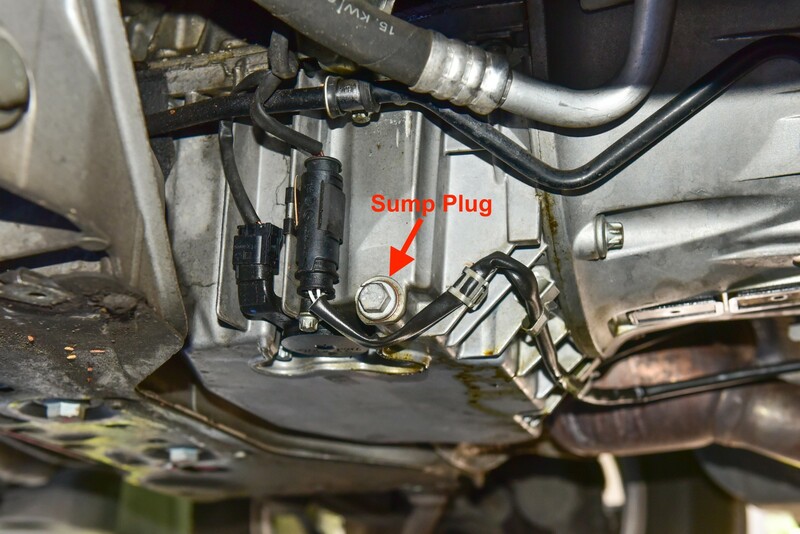 Once the dripping has stopped re-install the new sump plug and washer. You can re-use the existing bolt and washer however this is not recommended as leaks can occur. Locate the oil filter in the engine bay. 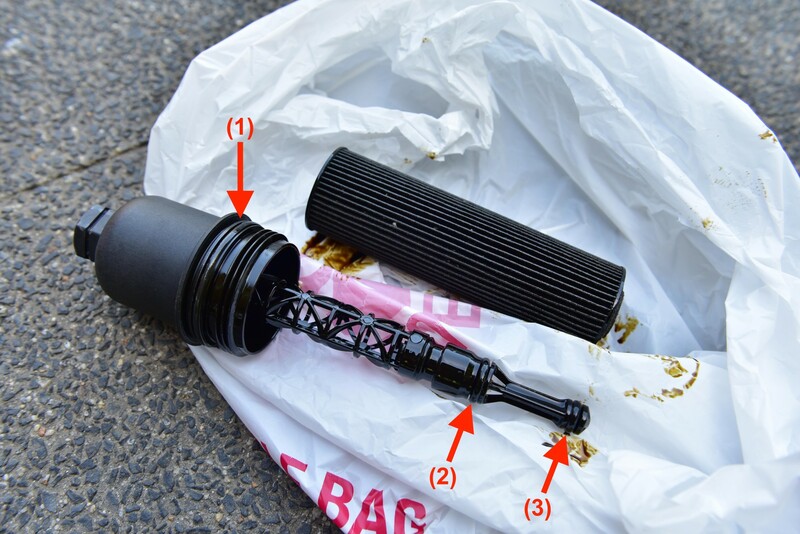 It is a cartridge style filter inside a plastic canister. 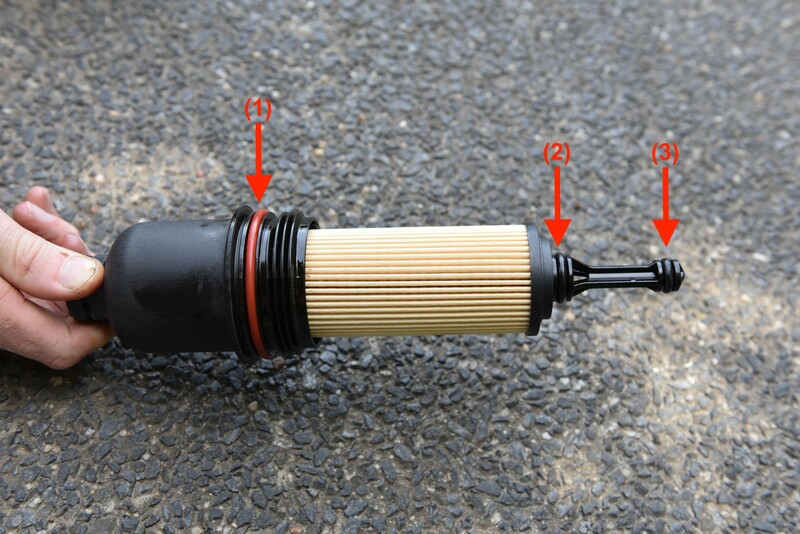 Using a large socket, unscrew the oil filter cap. 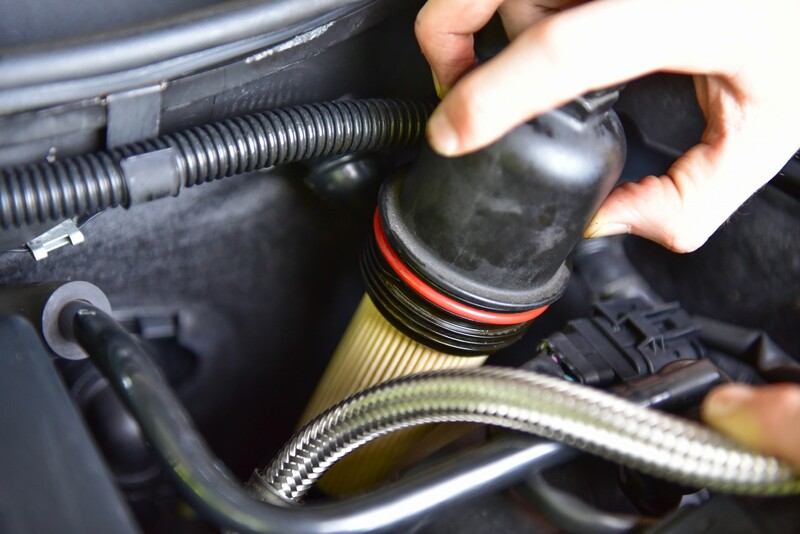 Once loosened, pull upwards and remove the cartridge filter from the vehicle. Pull gently on the cartridge to remove it from the canister lid. There are three seperate o-rings that we now need to change. These are highlighted in the image. 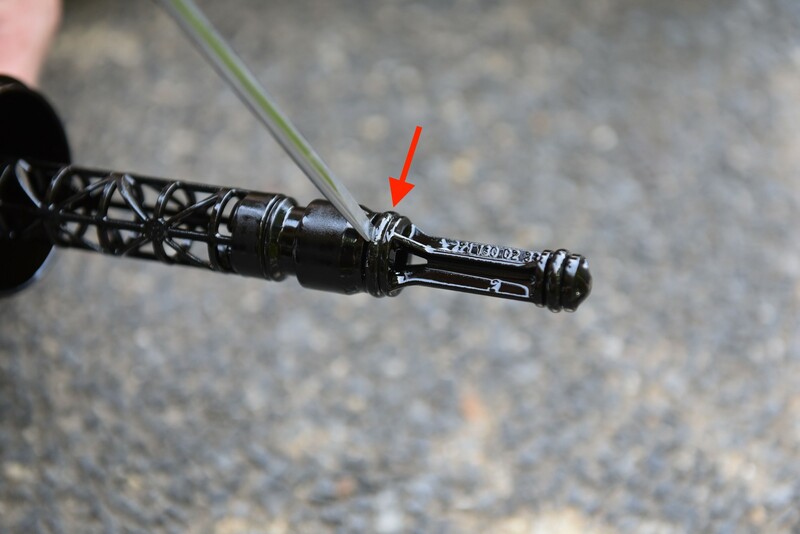 Remove the first o-ring and replace. Remove the second o-ring and replace. Remove the third o-ring and replace. With all three o-rings replaced, slide the new filter onto the canister lid as pictured. Replace the canister and gently tighten. 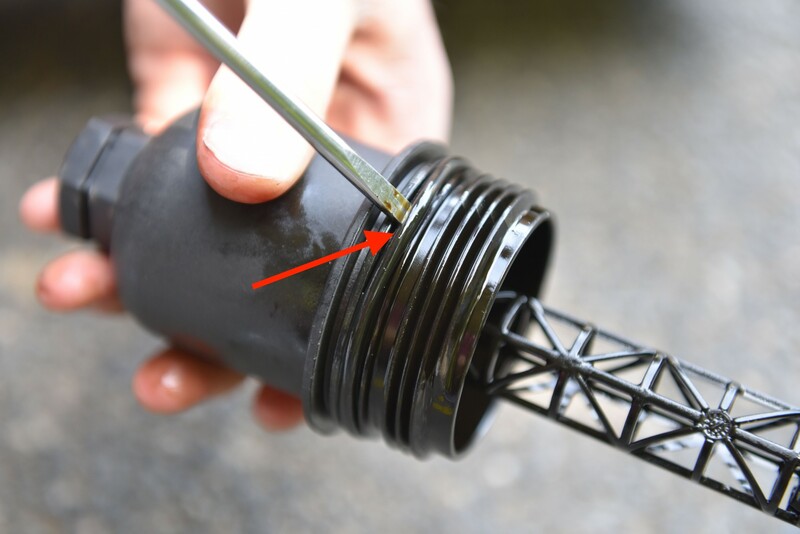 As the entire unit is made from plastic be very careful not to over-tighten the filter. Now fill the vehicle with 5.5L of oil. For the Australian climate we chose to use fully synthetic 5w-40. 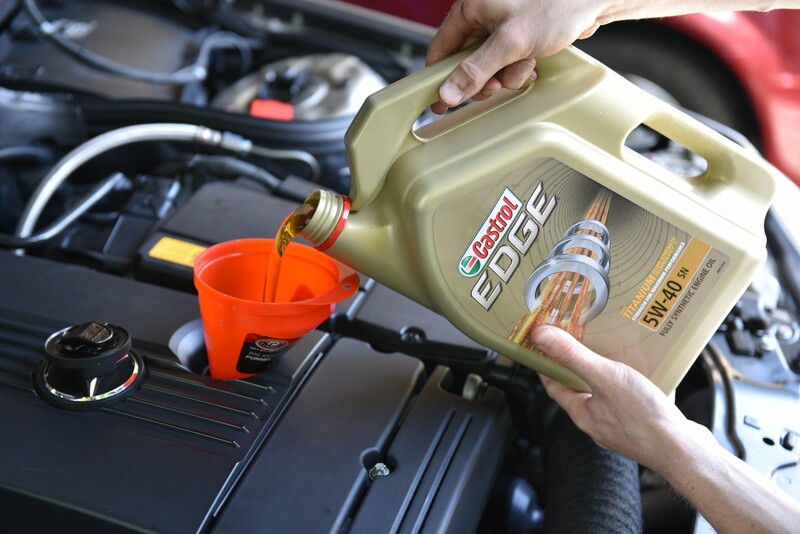 Before starting the engine we need to check the oil level. See our guide on accessing the Engineering Menu. 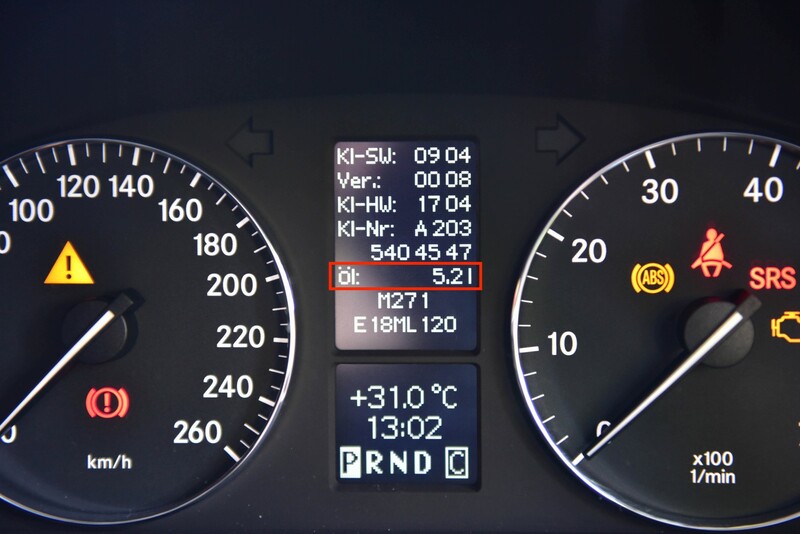 Once the level is at roughly 5.5L start the engine and monitor for leaks. Turn the engine off and re-install both splash shields. The oil level will drop after you have started the engine. 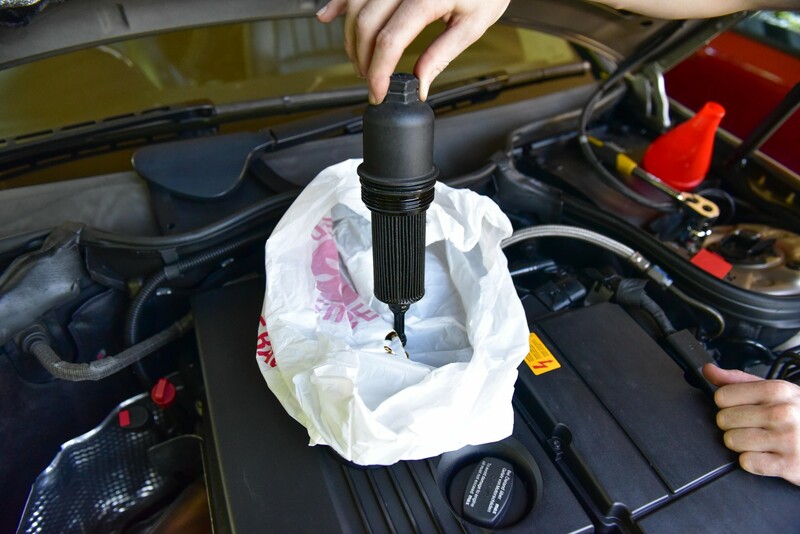 and which Type of Oil and Oil Filter you recommend for the replacement? 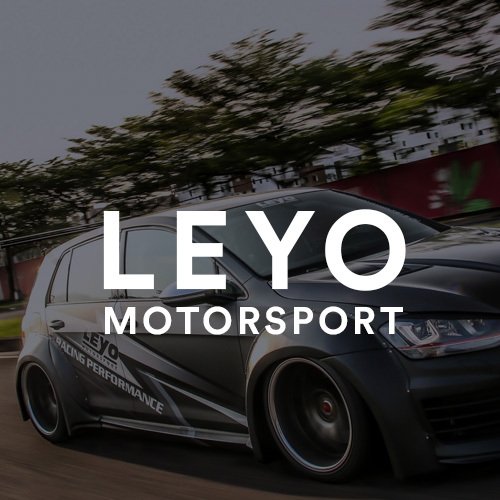 5w-40 Oil and 5.5L. Most oil filters will be fine for the job, I believe MANN is a popular choice in Europe. How long may i go before i manage to engage an exprert (or DIY), & what are the dangers of excessive engine oil. Hello, the engine light could be anything, you will need to see a mechanic who can diagnose the issue. 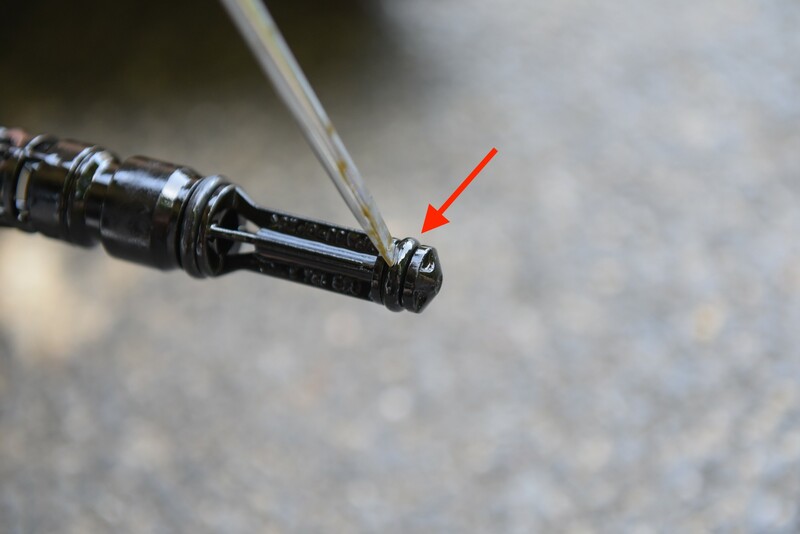 The excess oil also needs to be drained as soon as possible, as this can damage your engine. Hi Nick, your owners manual should specify oil types based on climate temperature, please check this. Australia has wildly different temperatures across the states! I poured 6 liters and board computer picked up 5.9l, is it OK for my engine? Hello, Yes this is normal. The reading is never 100% accurate. You only need 5.5L however.